Take a peek into archival footage brought from the future to discover how the learning paths were transformed by Purpose Learning. Special thanks to Victor Saad and Experience Institute for permission to use their video footage and for being an inspirational project partner. The Stanford graduate is known as a “leader of enterprise, builder of states,” as touted by the institution’s first president, David Starr Jordan. Situated in Silicon Valley, Stanford had always celebrated the relationship with industry and opportunities for students to apply their learning in context. A few decades into the 21st century, faculty noticed a change in incoming Stanford students. Already familiar with the core content being taught due to online course exposure during high school, they showed greater abilities in both integrative thinking and collaboration than ever before. Experts in educational theory drew the link between the widespread adoption of project-based learning in K-12 education that began with the Occupy Kindergarten movement, and the emerging needs of students entering college. consistently outpaced traditional methods in rates of student retention and student engagement. Following the boom and bust cycle of the 2nd Great Tech Bubble, generations of students who had once aspired to catch “startup fever,” began to question the viability—and desirability—of those pathways. The millennial generation, which had once been derided as self-involved “slacktivists” who were content to click a button and sign a petition, matured into leaders of companies and organizations that considered social impact as well as financial impact. These changes prompted Stanford to reinvent the "why" of higher education for its undergraduates. The goal was to help students select a meaningful course of study while in school, and then scaffold a clear arc for the first 10 - 15 years of their professional lives. It wasn’t about the career trajectory, but the reasons behind it. To support Purpose Learning, Stanford launched a series of Impact Labs around the world in which faculty and students tackled global challenges through immersion. Soon after the launch of these Impact Labs, Stanford partnered with the International Olympic Committee to create an innovative rollout model. Much like the Olympics, which attracted the world’s best athletes to come together and push the boundaries of human endurance, speed, and physical prowess, the Impact Labs became the academic analogue. Over the next 15 years, seven new Labs (each inaugurated during an Olympic Games) attracted the top faculty from not only Stanford but from institutions around the world to come together for in-context research and application. Countries vied to host the Olympics not just for the media attention and national pride -- they did so, in part, for the local learning and research infrastructure that would be built as a result of a winning bid for the Impact Lab. They recognized that the Impact Lab would result in long-term in impact on that society’s human capital development. Twenty-two years after the founding of the program, a decade-long collaboration between Stanford, MIT and IIT accomplished its moonshot goal of making clean water accessible for every person living in South Asia. As this global infrastructure for purpose-driven learning unfolded, students opted to spend a year in an Impact Lab in increasing numbers. They began applying their field of study immediately to challenges they cared about and returned from their Impact Lab experiences motivated to delve more deeply into the content and competencies that enabled them to advance their mission. Together, these Impact Labs, now located in 25 countries on six continents, rival the California hub in faculty and student numbers and have increased Stanford’s capacity to build a student body unrivaled in global diversity. For those who remained on the Palo Alto campus, Stanford selected seven big global problems each decade to which faculty from different disciplines would rally as a focal point of application for teaching their subject matter. 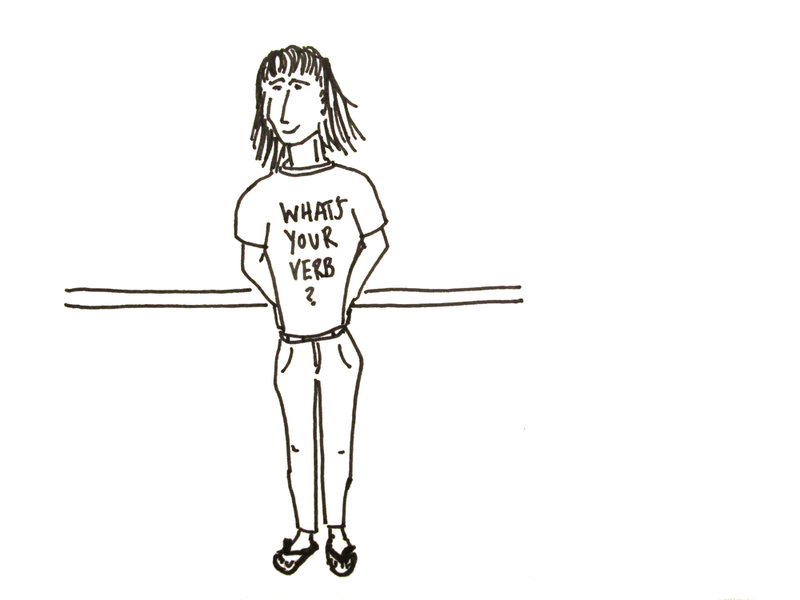 One sign that the shift toward connecting meaning or “the why” behind one’s studies and actions came when the phrase “what’s your verb?” started to creep into the Stanford lexicon. A cross between “how are you doing today,” “what classes are you taking this quarter” and “why?”, this new idiom spun off into a variety of media. Inspired by the work they were doing to investigate the kind of impact they were most interested in working toward, students started wearing Stanford t-shirts that just said, “To Ignite.” “To Build.” “To Challenge.” “To Persuade.” Soon, this unofficial tagline became the organizing principle for the new portfolios students had to create to graduate. Demonstrating evidence of clarity of purpose and experience creating impact, along with mastery of subject matter was key. An endless list of contributions to issues of poverty, health, infrastructure, renewable energy, global governance, space travel, artistic and cultural achievement, etc. Time Travelers declare their mission.